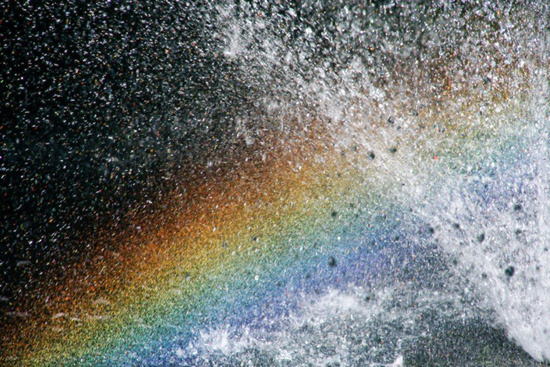 Having once called myself Rainbow Woman, I really appreciate this photo for how it reminds us that a natural rainbow is light viewed through a scrim of water and not possible without this presence of water. I have prisms in a few spots in my house and enjoy the clarity of these “rainbows” too. No water, though. Great photo.